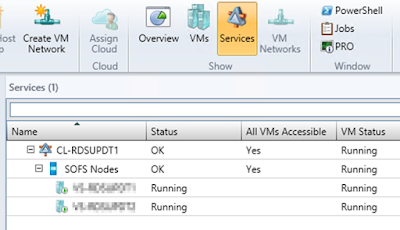 In part one of the series, we went over creating a Service Template using System Center Virtual Machine Manager for the purpose of creating a virtual guest cluster using Shared VHDX. 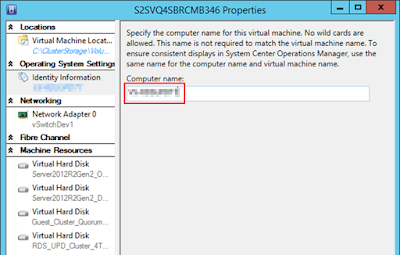 In part two, we'll be going over provisioning the virtual servers from the Service Template. 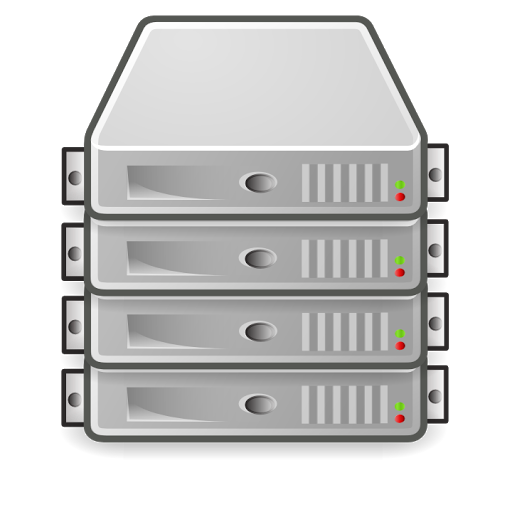 This process will create two virtual servers based on the settings we specified in the Service Template. When we are complete, you'll have two fully functional virtual servers utilizing Shared VHDX files, that you can then use to create a failover cluster. 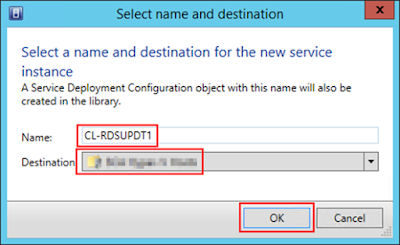 Now that the Service Template has been created, you’ll want to deploy the new service. 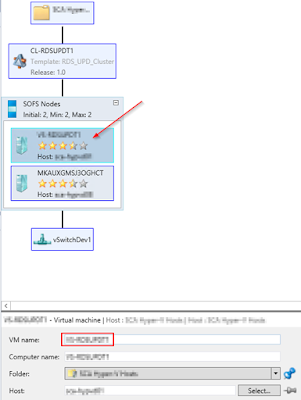 This process will provision the virtual machines specified in the Service Template. 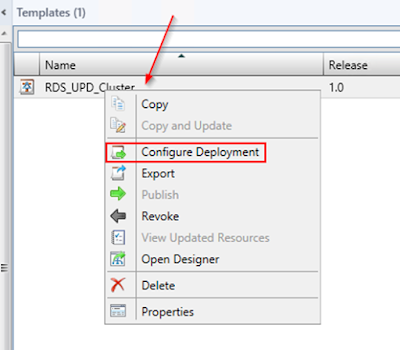 In SCVMM, right-click the Service Template and select Configure Deployment. Give the Service a name (the name of the cluster works well) and specify where to deploy the service. Then click OK. The Deploy Service window will open. On the ribbon, click the Refresh Preview button to allow SCVMM to determine the best Hyper-V hosts to place the VM’s on. You will see a graphical representation of the Service, and it will show two nodes. Double-click the first node to open the properties of that node. On the Identity Information tab, give the first node a name. Perform this same step for the second node, giving it a name. 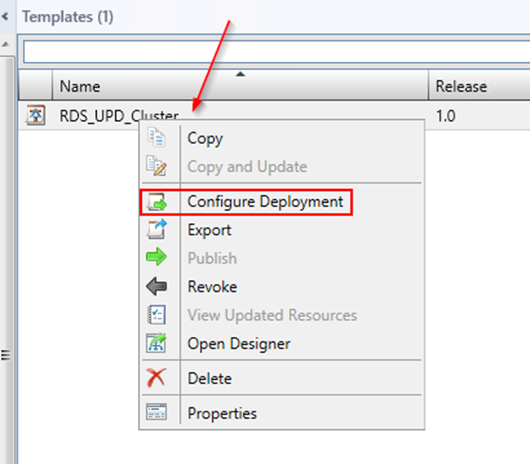 Back in the Deploy Service window, select each node by single-clicking it, and in the lower pane, set the VM name to match the Computer name. Do this for both nodes. On the ribbon, click the Deploy Service button to begin the deployment process. On the confirmation prompt, click Deploy. 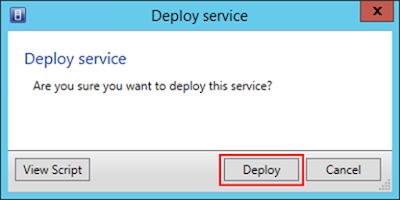 The Deploy Service window will close. Open the Jobs workspace to see the current process as the service is deployed and the virtual machines are provisioned. 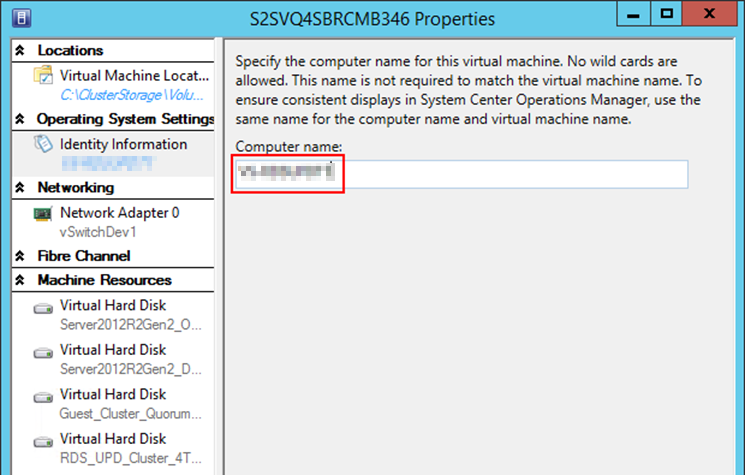 Once the job is complete, you should be able to see both servers listed in SCVMM. On the ribbon, click the Services button to view the entire service. Expand out the service to see the full structure of the service. 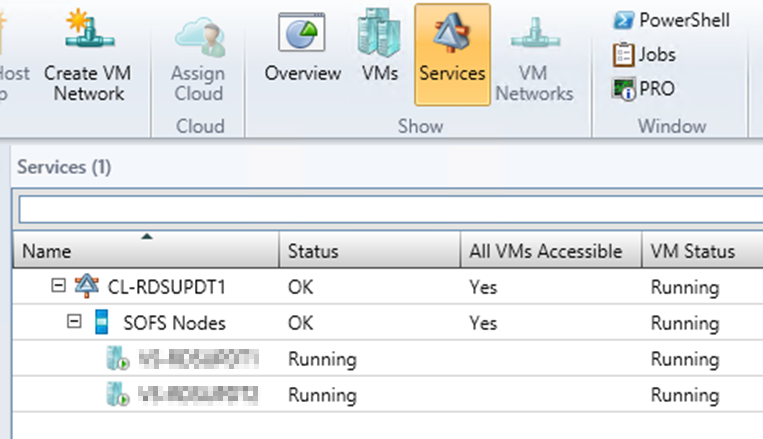 Now that the virtual servers have been provisioned, you can create a Failover Cluster between the two servers. 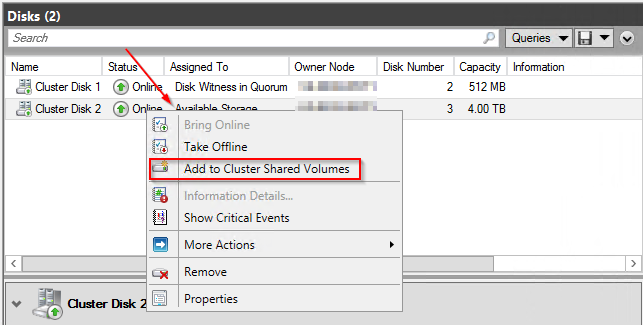 When you are creating the cluster, be sure to select the checkbox marked Add all available storage - this will add both Shared VHDX disks to the cluster, and should mark the smaller disk as the cluster disk witness for quorum. The storage is now ready to be used by the cluster. You can even right click the larger disk, and select Add to Cluster Shared Volumes if your cluster requires the use of CSV's. The Shared VHDX should function like any normal shared storage used for a Failover Cluster. Now, you also gain the flexibility afforded by abstracting the hardware layer using virtualization. 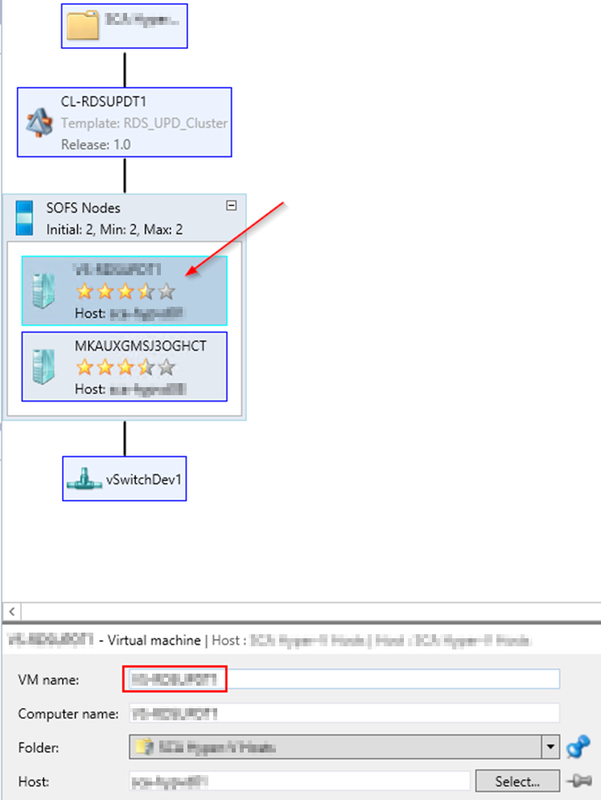 Shared VHDX is a killer feature in Hyper-V and makes creating guest clusters so easy. Enjoy!